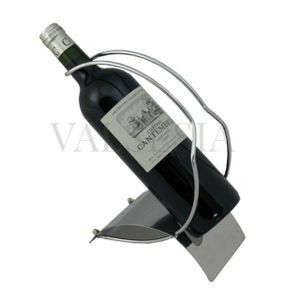 Sleek, stylish and efficient wine rack should be an essential equipment for each wine shops, restaurants as well as home every lover of good wine. Wine racks are made of different material, size, color, and technical performance - but always need to meet your aesthetic requirements as well as requirements for the storage capacity of bottles, material, design, and not least the price. Wine racks must also be stable and secure, allowing to store wine horizontally to prevent their oxidation. Darčeky a doplnky k vínu Stainless steel wine rack P1 Stainless steel wine rack is a stylish accessory, the culture of wine is easy. 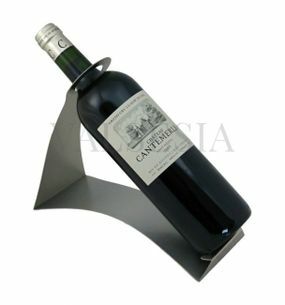 Practical utility to decorate the table, but also to prevent accidental capsizing bottles - practical and elegant part of every household, wine shops, and restaurants ..
Darčeky a doplnky k vínu Stainless steel wine rack P2 Stainless steel wine rack is a stylish accessory, the culture of wine is easy. 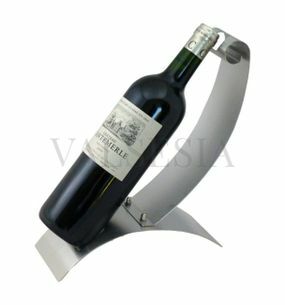 Practical utility to decorate the table, but also to prevent accidental capsizing bottles - practical and elegant part of every household, wine shops, and restaurants ..
Darčeky a doplnky k vínu Stainless steel wine rack P3 Stainless steel wine rack is a stylish accessory, the culture of wine is easy. 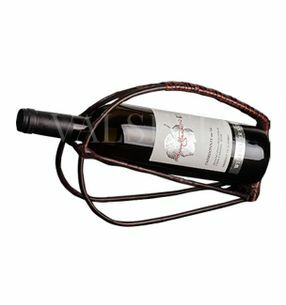 Practical utility to decorate the table, but also to prevent accidental capsizing bottles - practical and elegant part of every household, wine shops, and restaurants ..
Darčeky a doplnky k vínu Stainless steel wine rack P8 Wine rack denying how gravity works? 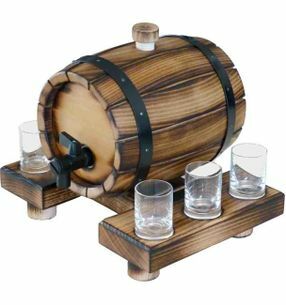 Witty, and undoubtedly interesting practical utility to decorate the table, but also to prevent accidental capsizing bottles - practical and elegant part of every household, wine shops, and restaurants ..
Darčeky a doplnky k vínu Wicker stand 1 x 0.75 l Stand wicker is a stylish accessory that the culture of wine is easy. 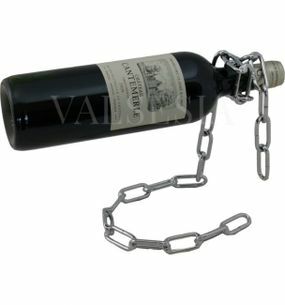 Practical utility to decorate the table, but also prevent accidental capsizing of the bottle - practical and elegant part of every household, wine shops, and restaurants ..